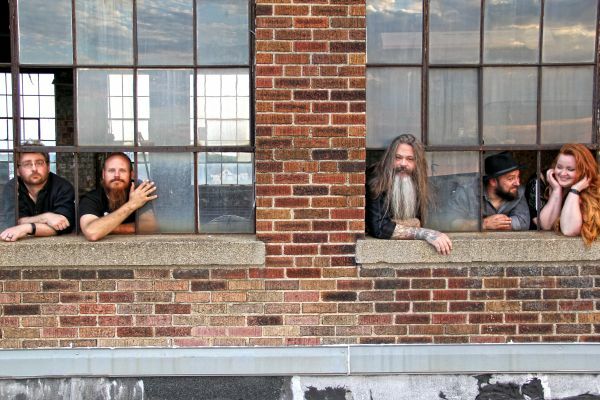 Dayton, Ohio-based psych-rock band Cricketbows is set to release an EP of new material, titled Communion, September 8th. Produced by Buffalo Killers’ Zachary Gabbard, this six-track effort is the band’s first release since their 2015 debut album, Diamonds (produced by Grammy Award recipient Brian Olive). The EP will also coincide with the release of a full-length film entitled Where The Ocean Meets The Sky that will feature behind-the-scenes footage and videos for all of the songs from Communion. “We wanted to showcase our songwriting and our voices and our playing on this one,” states Chad Wells, the band’s founder and lead vocalist. The band is often categorized as a psychedelic act and though that subgenre of rock is an ingredient in Cricketbows’ musical recipe, Communion finds the band climbing out of the psych tunnel and into a more refined style of rural indie rock that borrows equally from ’60s and ’70s inspirations like The Beatles and The Byrds, as well as ’80s and ’90s college radio and indie stalwarts like R.E.M. and The Replacements, and alt-rock giants like Pearl Jam and Nirvana, and the band’s hometown heroes, Guided By Voices and The Breeders.